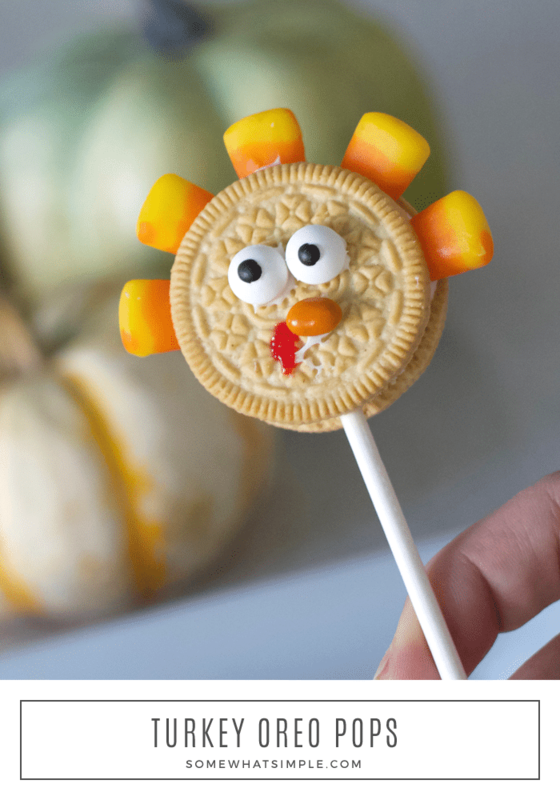 Turkey Oreo Pops are the cutest Thanksgiving treat on a stick! 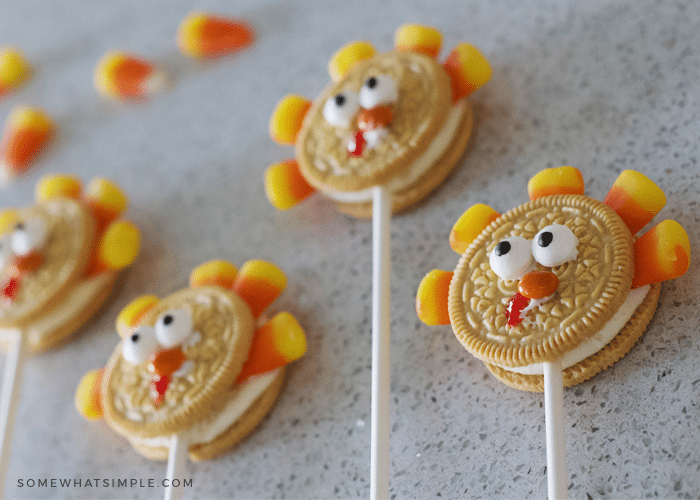 We have a craving for simple Thanksgiving treats in our house, so in our kitchen this week we’re creating Sugar Cookie Turkeys, Nutter Butter Cookies, Handprint Turkey Cookies, and these fun Turkey Oreo Pops! Can you guys believe how fast the year is going? I cannot believe it is almost Thanksgiving! Are you ready for the big day? Is your menu set and your festivities planned? 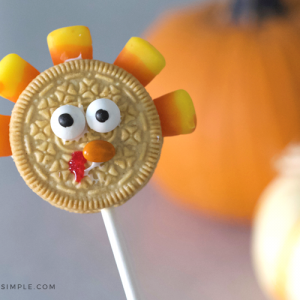 Here is a simple idea you might want to add to your Thanksgiving agenda – Turkey Oreo Pops. 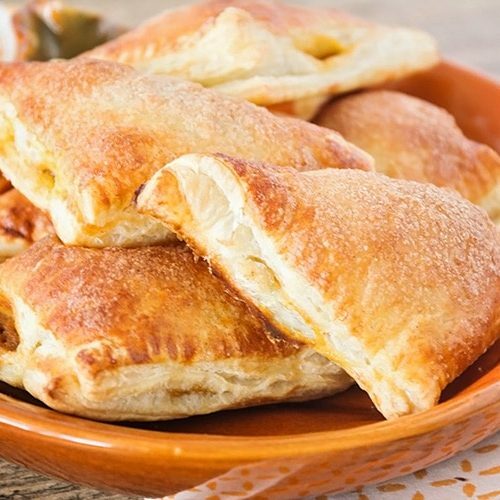 These things are not only simple to make, they are quite possibly the cutest Thanksgiving treat! 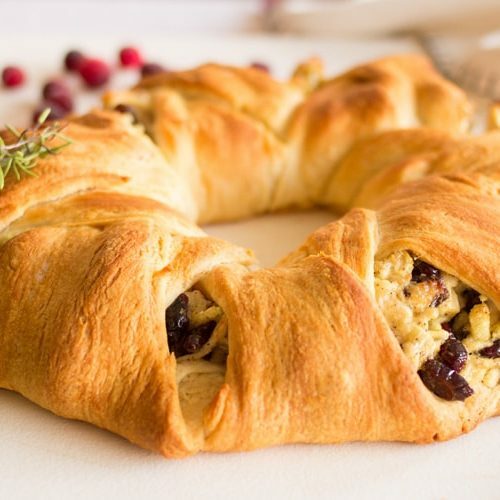 They make a fun pre-Thanksgiving dinner activity if you let each of the kids make their own. 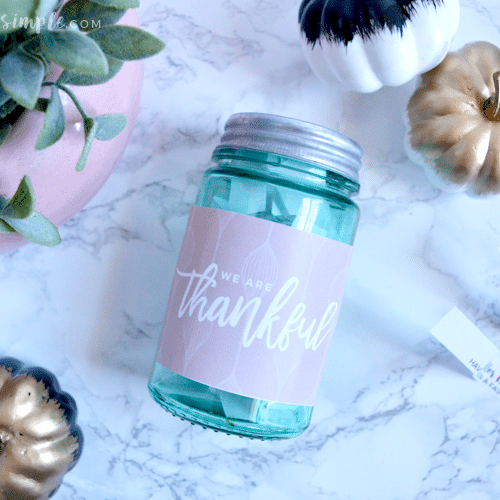 Or, set one on everyone’s dinner plate for a festive, adorable touch to your Thanksgiving table! 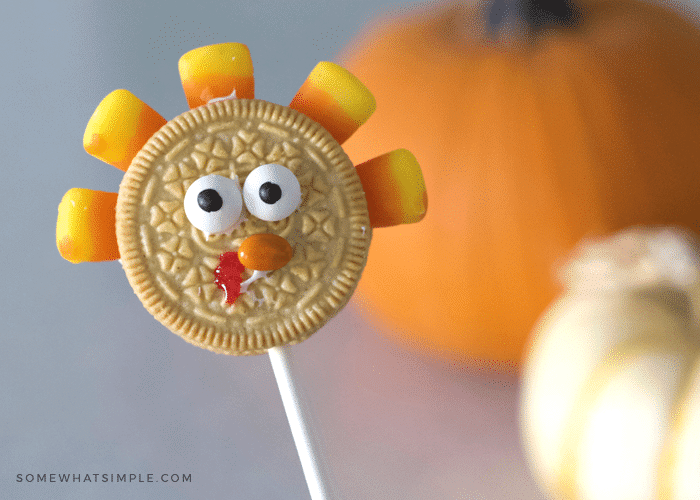 These adorable Turkey Oreo Pops come together with just a Double-Stuffed Oreo cookie, some candies + some white and red frosting. Make sure you are using DOUBLE-STUFFED Oreos for these turkeys. Regular ones don’t have enough frosting in the middle to hold the candy corn “feathers” secure enough. If you find your candy corns are moving around and not holding their place well, put a little more vanilla frosting on top and let it harden a bit before standing the cookie up. It really doesn’t get easier than this, you guys! Shall we make them? small orange candy I used a chocolate-covered sunflower seed, but a mini M&M works well too! Stick a lollipop stick in the middle of each Oreo, through the frosting (if the cookie separates, use some of your white frosting to help stick it together. Frost the back of 2 candy eyes, and place them on the Oreo. Frost the back of your orange candy and place it on the Oreo. Create a turkey waddle using some red frosting and a toothpick. Stick several candy corn pieces into the Oreo to create the feathers.